Solamar is a pet-friendly building (up to 30 lbs.) on the water in Park Shore. Amenities include a 24/7 doorman, guest suites, pool, spa, tennis courts, sauna, fitness center, social room and a great rec room with billiards, table tennis and shuffleboard. 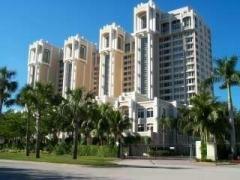 Have any comments or questions about Solamar Condos? Ask your question and/or share your thoughts about this Building.